*Sandcastle Stamper* : TPB: .... from my tomatoes! versed in homemaking, child rearing and canning! into mason jars to store away! But most of all, this sentiment! 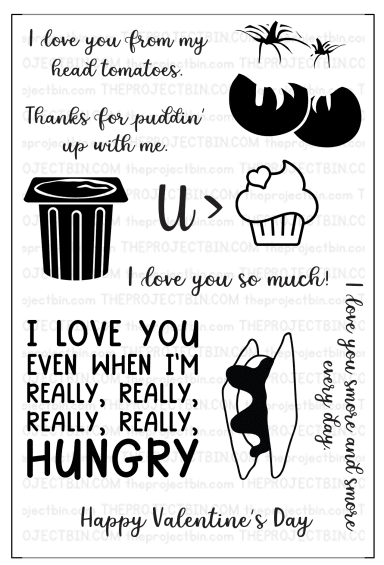 You can find this stamp set and more in the shop! Here is the stamp set in it's entirety. Lots of possibilities with this fun set! the day I post for The Project Bin. but it's on the blog today, too! You can see that card here. you'll scoop up this stamp set! 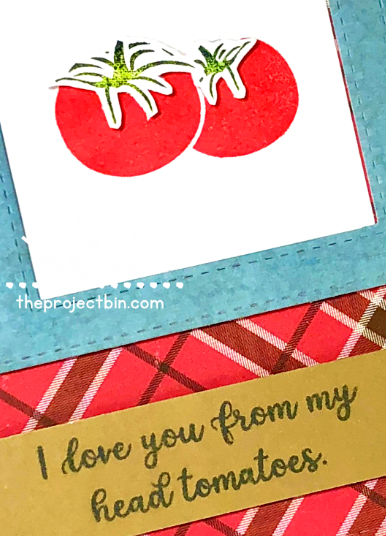 Great card with the yummy tomatoes and the fun sentiment. Love your heart card too! 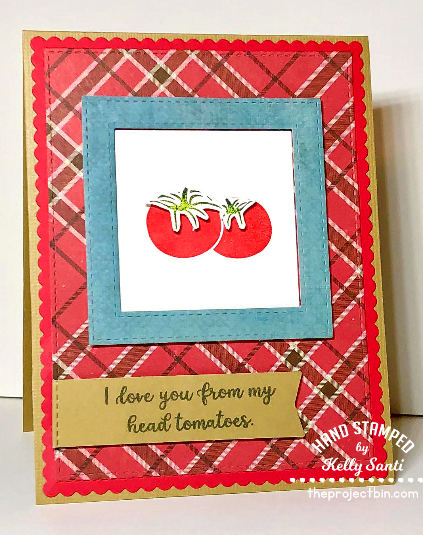 Kelly, your card is awesome - those tomatoes and the bright papers. I love it!!! Fun and beautiful with that country feel! Such a cute card an a memorial to your grandmother. My mom used to can from my granddad's garden. I remember that with fondness. I love that fun and very clever sentiment Kelly..FABulolus stamp set and card..
Kelly--what a great card. 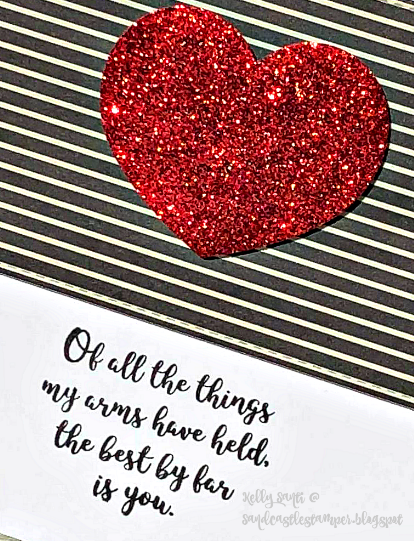 I love the papers you paired with the sweet image! What a fun set and you have showcased it perfectly! Love the sentiment especially. Love a good pun and this is a beaut Kelly, and a stunning card to display it on too! So cute and adorable sentiment. Good one, Kelly!! What fun! !